From getting passed over in the draft to 700+ NHL games. An outstanding career. Congrats, Joel. 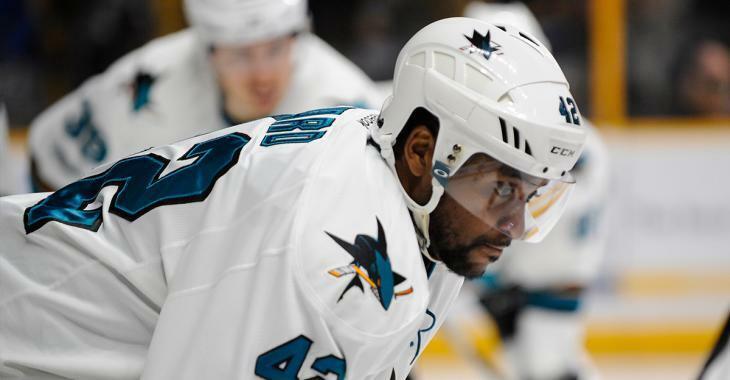 Veteran NHLer Joel Ward unofficially announced his retirement last night at a University of PEI alumni event. Ward played 11 seasons with the Minnesota Wild, Nashville Predators, Washington Capitals and San Jose Sharks, recording 133 goals and 171 assists. He most recently attended training camp with the Montreal Canadiens this past preseason, but was unable to secure a contract with the team. He put up a career high 24 goals and 49 points in 82 games with the Capitals back in 2013-14 and was a reliable third line winger for the majority of his career.